In the Balkans, it is rare to find fresh milk. Only the largest stores in the largest towns will stock it. Most milk in the Balkans comes in a Tetrapak. It is UHT (ultra high temperature) so it lasts for years and is stocked on a shelf, not in a refrigerator. This type of milk is foreign to most North Americans, who will find the taste off-putting. In the Balkans, this type of milk is used for coffee but isn’t drunk as a beverage. People in the Balkans drink yogurt all the time. Yogurt originated in the Balkan country of Bulgaria but it is crazy popular throughout the region. 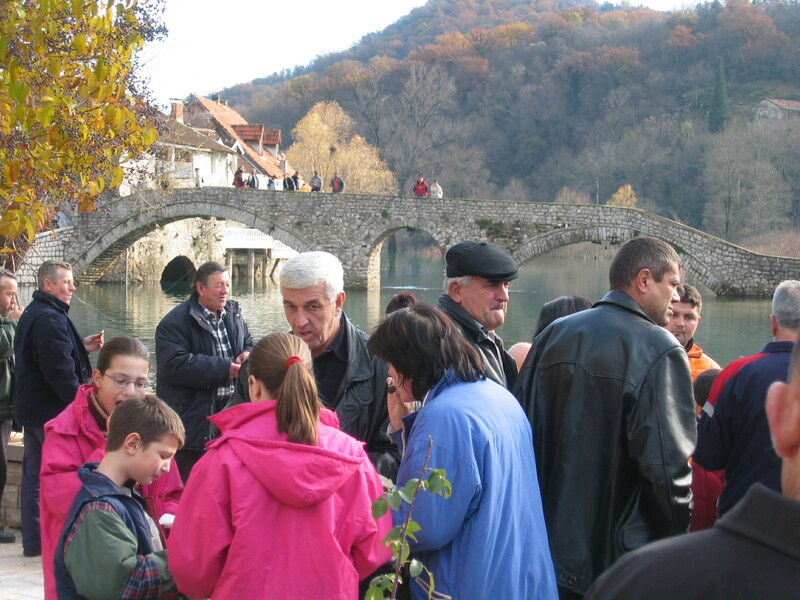 There have been strong links between Balkan yogurt and longevity and Bulgaria has been at the top of countries with living centenarians for generations. Despite poverty and harsh living conditions, people live to be very old in Bulgaria and scientific studies have singled out yogurt as the reason. 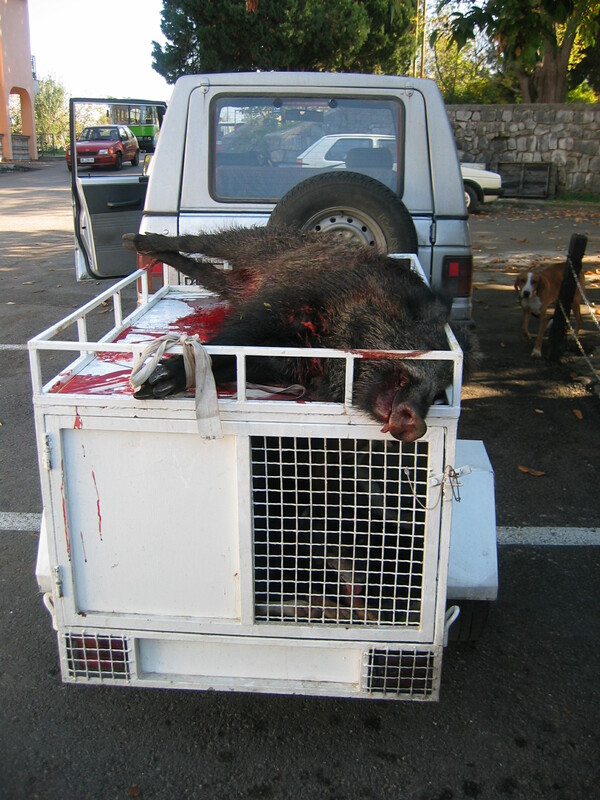 There are many wild boar in the Balkan region (but now one less). 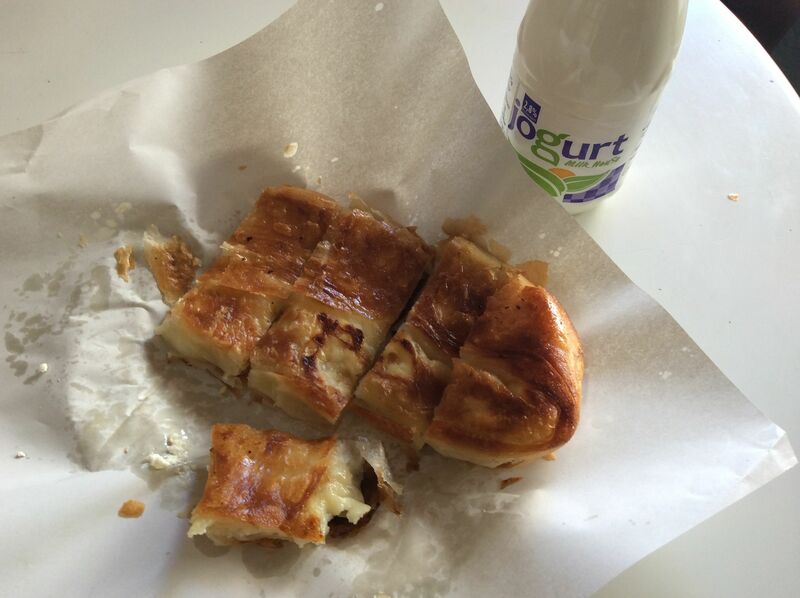 Yogurt is the mandatory accompaniment to Burek (deliciously greasy Balkan savoury pastry), Niš, Serbia. Here is my recipe for Balkan yogurt. It is so simple to make and foolproof as long as you follow the instructions exactly. If you don’t have a large family, make a lot of smoothies, give the gift of fresh homemade yogurt to a friend or get more gorgeous with a yogurt face mask! Place 2 litres of milk in a slow cooker. Here, I am using raw goat milk from a friend’s farm. Cook on low for 2 1/2 hours. Unplug (the slow cooker not yourself although feel free to unplug yourself and enjoy a cup of tea). 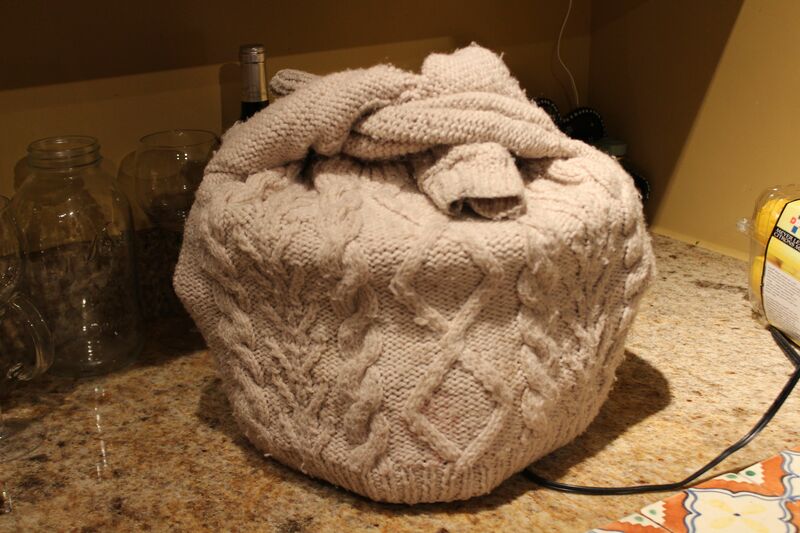 The reason it is important to unplug the slow cooker is that it will turn itself onto “warm” if the unit isn’t turned off and that will keep the milk too hot. By actually unplugging the machine, you are guaranteeing that won’t happen. Trust me on this one. Let milk sit for 3 hours. After 3 hours, it will be at the perfect temperature. Remove a ladleful of hot milk to a bowl and whisk in 1/2 cup of yogurt. My favourite type of yogurt to use is Astro Balkan Style Plain Yogurt (6% fat, made only with milk ingredients and bacterial culture). 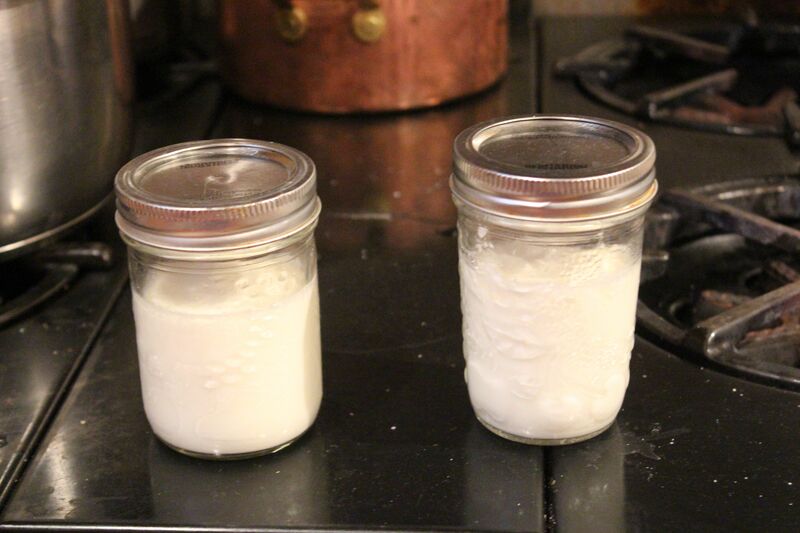 Although you can use your own homemade yogurt to make more yogurt, I have found that the yogurt works best if I always add in the Astro as the starter. 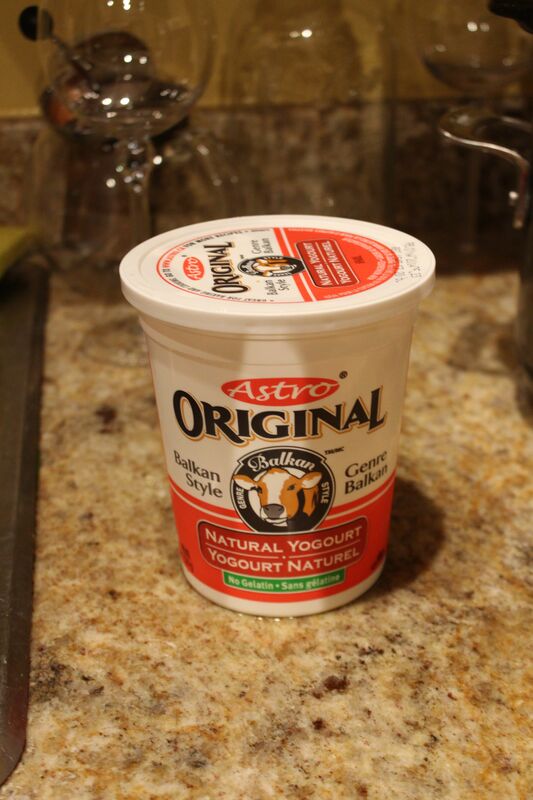 So I buy a container of Astro, which keeps exceptionally well, and then use it to make batches of my yogurt over the course of a month or two. If you can’t find Astro, use any high quality, full fat yogurt without any additives. This yogurt makes the best yogurt. Real Balkan style yogurt! Add yogurt mixture to crock pot and give a stir. And now for the fun. 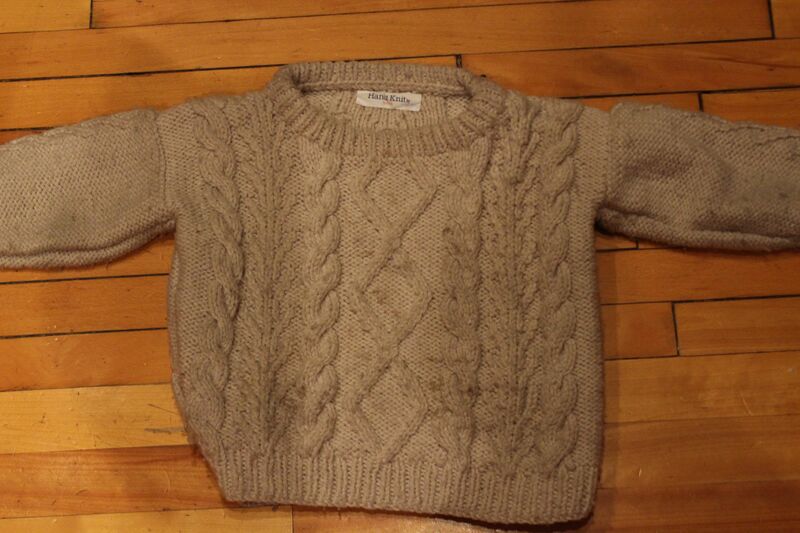 Get your “yogurt sweater” hand knit by your daughter’s friend’s Nana. 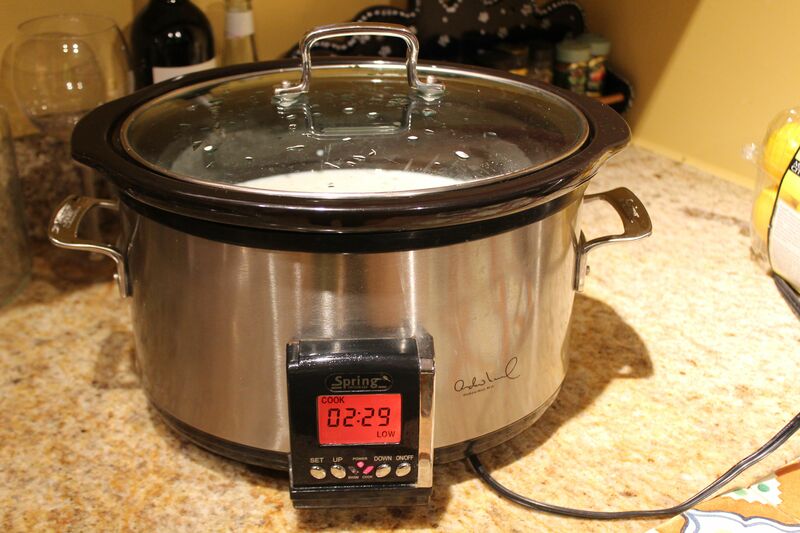 Wrap your slow cooker up and leave overnight (anywhere from 8-15 hours). The lesser amount of time will only work in very warm temperatures. I generally leave mine to set for about 12 hours. Little did Nana know when she knit this sweater, how gosh darn useful it was going to be! The resulting yogurt will be firm on top and more runny underneath. 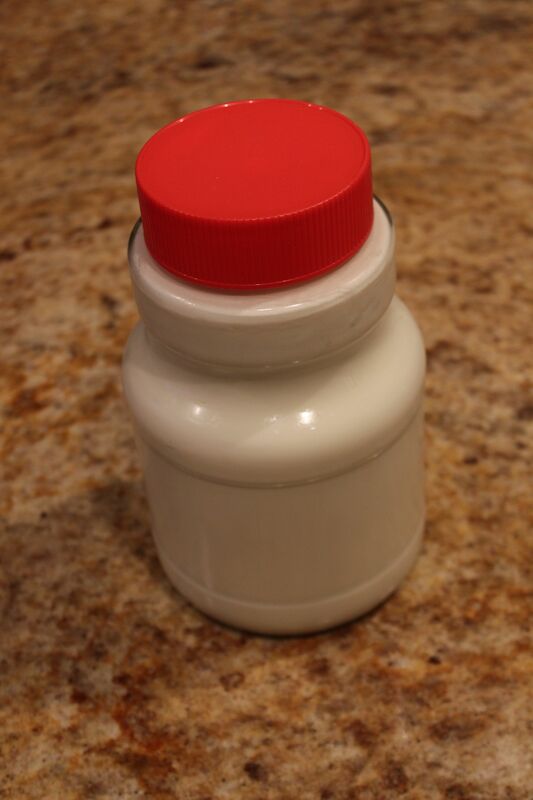 As you scoop the yogurt out to store it in a container, all the yogurt will become creamy and runny. This recipe really does make the most delicious drinking yogurt. In our house, we also eat this runny yogurt and use it in cooking. If you would like a firmer, eating yogurt, it’s no problem. 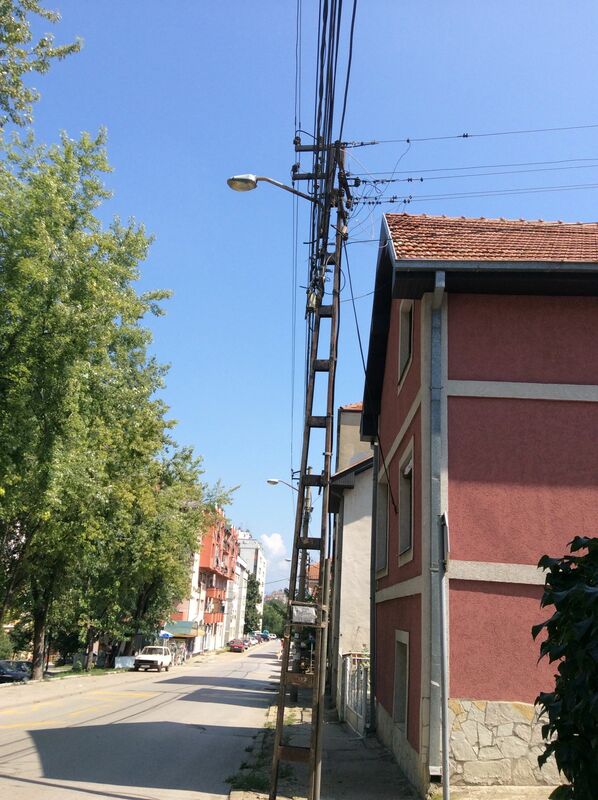 BTW, “no problem” is a very typical Balkan saying. When you add the yogurt to the milk and stir the mixture into the milk in the slow cooker, you will also do something else. Make sure the mixture is well stirred. Ladle out portions of the mixture into individual containers. Leave overnight in a warm area. If the containers are not kept nice and warm, the yogurt will not work. I leave the containers in my gas oven. Although the oven is off, the pilot light keeps the oven very warm and this sets the yogurt perfectly. The warmer temperature needed for individual jars makes for a more sour-tasting yogurt that may be a harder sell. If you want to add things to your yogurt (vanilla, jam, honey etc), I recommend doing it at the time of eating. This ensures that the yogurt sets properly and also keeps the batch of yogurt more versatile in that you can use it in savoury preparations as well as sweet. If you are used to sweetened yogurt, you will see how easy it is to gradually cut back on the sweetener until you aren’t using any. My children enjoy the taste of plain yogurt as well as sweetened. My favourite “sweet” yogurt for myself is the following: one apple cut into bite-sized pieces, 1/2 cup of plain yogurt on top, lots of cinnamon sprinkled on top. You will be surprised by how sweet, crunchy, cooling, yummy this is. Enjoy! I usually use raw cow milk so my yogurt but I am currently without a source so have been using the goat milk instead. You can use regular store milk too. Goat milk is great but I think the goats themselves can be a handful! I prefer to let others deal with the actual beasts! But yes, you are right, this recipe is so simple. The trick is to make the yogurt on a day when you are home because the timing really is critical (2 1/2 hours on low, 3 hours off, add yogurt). Cheers! We will try this too. It looks and sounds delicious. The Astro Balkan yogurt is already our favourite so it will be on hand for the starter. Say hello to Firstborn for us. Our little guys miss her a lot. Nice to hear from you! I gave your sweet wishes to Firstborn and she sends big hugs right back. 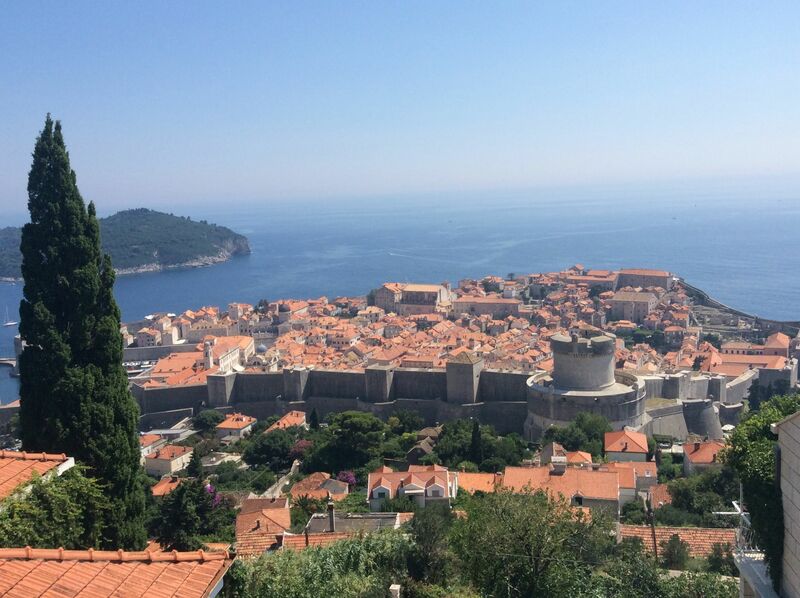 Like many things in the Balkans there is controversy about where yoghurt originated. You mention above that it was in Bulgaria, but I think the Turks and the Greeks would argue with that. It is actually a Turkish word. Whatever the case, yoghurt is certainly widely loved (and delicious!) through all the countries of the region. Dobar tek! Afiyet olsun!